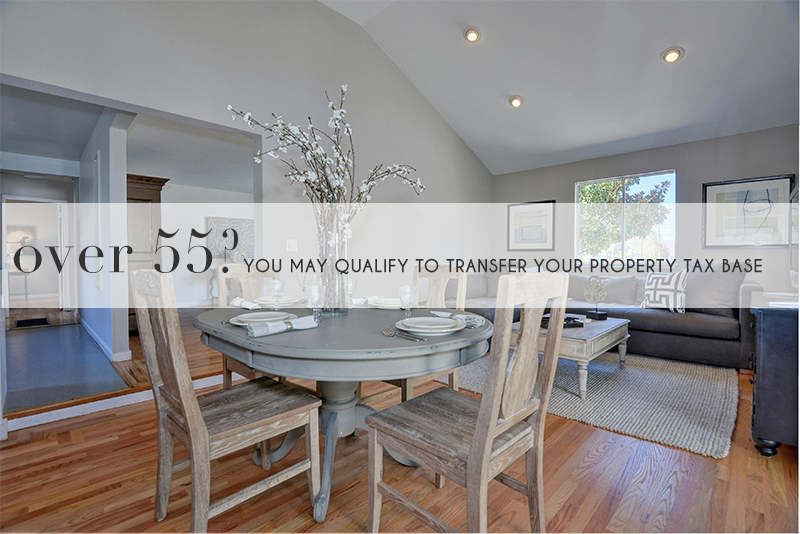 If you are over the age of 55, you may be eligible for property tax relief under California prop 60 & 90, which allow age-eligible homeowners to transfer their property tax base when they sell their principle residence and purchase or construct a new home of equal or lesser value. The idea behind these propositions is to incentive homeowners who are over 55 and live in a participating county, to downsize or move to a home of equal or lesser value without having to pay more in property taxes. What’s the difference between Prop 60 and Prop 90? PROP 60 relates to the transfer of your property tax base if you were to sell your primary residence and purchase a new home of equal or lesser value in the same county. For example, if you sold your home in Los Altos (Santa Clara County) and moved to Mountain View (also Santa Clara County). PROP 90 relates to the transfer of your property taxes when you sell your primary residence and purchase a replacement home in different participating county in California. For instance, if you were to sell your home in Los Altos (Santa Clara County) and purchased a new home of equal or lesser value in San Mateo (San Mateo County). Currently Santa Clara, San Mateo, Alameda, Kern, Los Angeles, Orange, Ventura, and San Diego are the only counties participating in Prop 60/90 but that could change in the future. Click the link below to download the application from the County Assessor’s Office. The form includes a detailed explanation of the requirements that must be met in order to qualify for the base year value transfer.